Testimonials - Edita Atteck Creative Living. Prior to seeking her guidance I simply reacted to the obstacles & lessons life threw my way; never paying any attention to my emotions & often bottling them deep inside. “I am a driven entrepreneur who wants to accomplish a lot in life. Needless to say, my life style is often hectic. 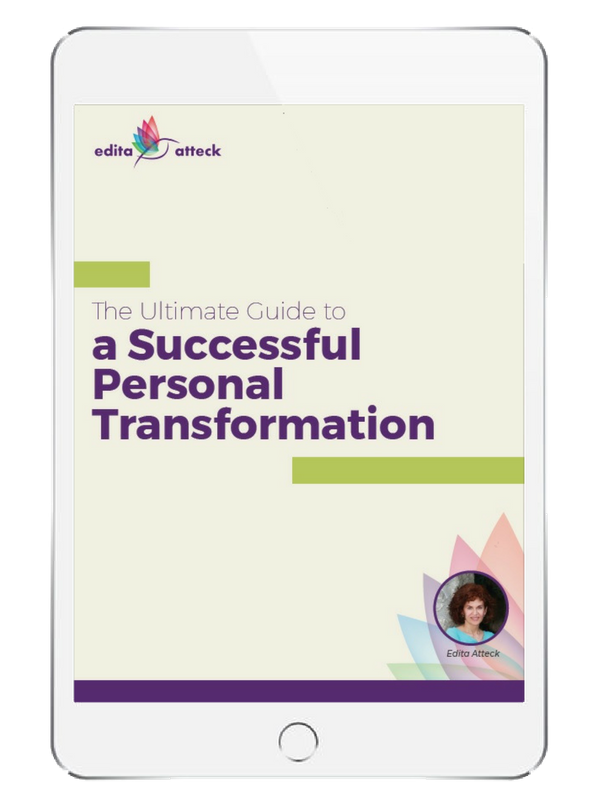 Applying the concepts introduced in Edita’s e-course, her workshops, and our private coaching sessions truly impacted my personal and professional life. "When you come across another human being that alters your entire thought process, it’s truly an awe-inspiring experience. This is the gift that Edita gave to me. She helped me unleash my soul, which took me on a journey of healing. I’ve recaptured a zest for life that I never thought possible. After many years of self-neglect, I’m finally in control of my body. Thank you Edita. You are my spiritual angel." "I am forever grateful to have met Edita & learn so many useful tools to guide me through my daily life; whether it be personal or business. Prior to seeking her guidance I simply reacted to the obstacles & lessons life threw my way; never paying any attention to my emotions & often bottling them deep inside. She has enabled me to look at things from a different perspective; and also to pay attention to my emotions & when my body is sending me messages. I’ve learned techniques to stay in the present; rather than getting stressed about what “may be” ahead or stuck in what “was behind”. I have gone from a place of “trying to stay afloat” to learning ways to be in the moment & better time manage a very hectic work & family schedule. Now I try to take a day at a time and realize that my brain & nervous system has been wired a certain way for a very long time and to just be easy on myself when I naturally want to slip back into old thinking patterns. I really find Edita’s workshops, online courses & guided practices help keep me on track & continue to guide me during my journey to being a better me." "I was recommended to Edita through a close friend of mine. I was at a defining fork in my career and moving at a pace that had found me in a health crisis. Edita coached me through some of the biggest decisions of my professional career in the time that I worked with her. Her practice is as powerful as it is enlightening – skillfully bringing you to this place of clarity, awareness and attunement. By the end of Edita’s program I was back on purpose, with loads of energy and feeling empowered to do what I knew needed to be done. Edita practices for results, but there is a caring and compassion to her nature that makes all the difference. I enjoyed her program immensely and like I always tell her, she should be sharing her message with the world – not just with the few of us lucky ones! The world can benefit with more of Edita." "When I first contacted Edita, my goal was to learn to meditate, and my hope was that meditation would help me slow down and rediscover the simple pleasures in life. My actual experience has exceeded my initial expectations. After an exploratory meeting, I joined the weekly classes and also invested in private sessions. During this journey of self-discovery, I have completed the ‘My Wholeness Revolution’ e-course, used the guided practices, and have attended group classes and workshops. Edita is a warm and caring individual, and she has provided me with an exceptional level of support and guidance. The greatest gifts have been a renewed sense of well-being, and peace of mind. Clearing the noise has allowed me to live in the moment. Edita continues to challenge me, in a caring and respectful manner. And the transformation in me has changed the way people respond to me, in a way I could not have imagined. I highly recommend Edita. She is a talented, genuine, supportive teacher who is making the world a better place, one student at a time." “Like a fish to water! This is the best way I can describe my experience of taking Edita’s classes and workshops. This was not what I was expecting. After some time of being quietly intrigued with the idea of learning to quiet my mind, I did some research and fortunately found Edita Atteck. I began taking her group sessions several months ago and the experience has been nothing short of profound. It is, like anything else, a practice which takes time to develop the skills. The group is a supportive and welcome place to gather. The learning has been exceptional; I credit Edita with her vast knowledge of the body’s response to stress from a physiological standpoint. In addition, I attended Edita’s workshops on the body’s response to stress and illness, and found it very informative and transformative. I have introduced 2 other family members to Edita and do not hesitate to refer her to others. I gave myself the permission to honestly tell someone what I really feel without worrying about repercussions or fear of confrontation. I feel empowered to be myself. I now share my feelings and my truth sincerely from a place of love and peace. Edita has helped me create balance and boundaries in my life. She helped me realize how easily I can get unstuck from my worries about what someone else may be thinking. Instead, I learnt to take full responsibility for what I feel and think, while being empathic toward others and myself. I learnt to trust the wisdom of my body. I am setting myself free from self-imposed limitations and restrictions. I feel more whole. Edita has helped me unify all the layers of my life’s stories and my life long desire to grow and heal, and finally reach a place where synergy, union, and harmony feel real. "Edita’s workshop Professionals Facing Stress & Anxiety was extremely eye-opening. I have been engaged in personal development and wellness practices for over 13 years and I learned things about my physiology and how the functioning of my nervous system contributes to my overall well-being that I had never heard before. Not only did I better understand myself by the end of the session, I better understood the people in my life, as well. I came away with a deeper compassion for myself and for my family members, my friends and the people I work with. I would highly recommend Edita’s workshops, and really, working with Edita in any capacity. The combination of scientific expertise, integrity, generosity and deep care and compassion that she possesses is a rare treasure." "I decided to invest in myself through Edita in order to overcome a very difficult and painful separation and divorce. I could have chosen the simpler route and numb my anxiety and fears with medication, but instead, I chose to learn about myself. I decided to acquire skills in releasing my stress, pain, and emotional overwhelm. I wanted to be free from my excessive thinking and feel empowered, instead of becoming a victim. After about seven months of coaching, I feel like I am back to being a strong and independent woman like I used to be. Edita’s words of wisdom resonated with something inside of me. Through her coaching, home practices I was given, tools that I learnt, and healthier eating, I now feel that all the possibilities are out there waiting for me. I am now more determined to live the life I wanted. I am no longer afraid." "I want to express how much I benefited from Edita’s mindfulness coaching. I can honestly say that I have experienced noticeable positive change in my life including improved relationships and overall improved decision-making. Please allow me to connect the dots for you to better appreciate the compelling change for the better that can be achieved. For me, I have already benefited from a heightened awareness of emotions and feelings, and the sense of peace and control achieved from such awareness. The ability to remove the self-imposed limitations on success in all relationships, and experience almost infinite compassion, is a real possibility now. I can see how achieving greater awareness of body and how emotions and feelings are felt, avails the control over the outcome of these emotions….how they are expressed….the ability to tactfully enforce your boundaries through more thoughtful and appropriate responses… ability to chill…no worries. The opportunity to change the negative and limiting habitual emotional responses to thoughts and feelings is real. How could a person expect to be the best and happiest they could be without this self-awareness?" "Words that come to mind when I think of Edita and her work include: genuine, skilled, committed and honest. These are all crucial gifts that she brings to her interactions, and certainly ones that she shared with me during my coaching sessions. I sought out Edita as guide and mentor, to help me “re-view” and reconnect with the life I was living. She helped me enormously to do that; to see and feel the truth about my connection with the Universe and with myself. It’s hard to put into words the true value of that, but to me it is and was a great gift, one that I continue to integrate into my daily practice. I know Edita could have chosen a mainstream career that would have yielded more material wealth and status. Instead, she has chosen to follow her heart and soul as a teacher and guide to those of us who have become a little (or a lot) lost in our own busyness, our own “doing”. "Edita takes body wisdom and the importance of having a healthy nervous system to a deeper level. Her workshops help you to truly become more aware of how and what your body is telling you. This knowledge is valuable for anyone, anywhere. I highly recommend Edita and her workshops." "Not only is the workshop and content helpful, but your energy and enthusiasm to be with us in the moment makes the session so much more meaningful for me. I noticed a shift for me yesterday. Thank you for your amazing being, sense of humour, and your grace." "I am really grateful for attending Edita’s workshop on Understanding Emotions. Edita is very passionate about what she does. She is well organized, articulate, a strong communicator, and has a warm presence." "Edita is 100% engaging and honest. From the moment we met, she spoke genuinely from the heart. Her voice during meditation practice is soft yet strong and always creative. Edita can read people intuitively and puts us at ease using humour and open vulnerability. Edita is a delightful teacher because she gives guidance in a deep, positive way that effects real and lasting change. " “Edita’s guidance was transformative. She provoked me to think in new ways, less ego-based and more grounded in self-compassion. In a few sessions she taught me a great deal about living in healthier relationship with myself and others. I am learning to be guided through body awareness and to trust in my ability to forgive and let go. She also inspired confidence to realize my goals by creating timelines and offering practical suggestions as my accountability partner. “After attending the first monthly series of your classes and your Workshop on Emotions, I can tell you that I am much more relaxed and feel hopeful. I am more able to trust and let things happen naturally. I am not thinking ahead all the time and I am living more in the moment. “Your workshop on emotions was great! My biggest takeaways were the empathic practices (so key for me to learn how to deal with certain emotions)… and that emotions are “fluid”, and that no emotion is “bad”. “I came across this note and it made me cry. I think about you when I read it. I have it saved. Thank you Edita! “After a year of working with Edita and attending weekly meditations sessions I can finally say that I am feeling like a new person. My mind will continue to try to pull me in negative directions but instead of catastrophizing and believing these thoughts…. I will simply let them flow. You can read the full version of Kristen’s journey here. “Edita is a very kind & loving person who is very passionate about helping others. She has inspired me to get to the root of my emotions & really “feel” them. She has given me tools to be more aware of what is causing me stress & anxiety; and how to find my way through to the other side. I am starting to look at life & its ups & downs from a different mindset and that’s very empowering! “I am finding your retreats absolutely calming and soothing my inner me. If I were to use the river analogy, I came to your event (twice) like a river going through the rapids…I am finding myself tangled in emotions and I feel my mind is constantly moving from one sad thought to another. “Prior to attending Edita’s practice sessions there were times that I experienced anxiety, headaches and neck pain which I attributed to work related stress and anger. Edita has provided me the tools through practice tips and group practices to deal with stress and anger – eliminating the physical ailments caused by these emotions. “The Awakening program’s recordings are beautifully done. I am grateful to have met you and been exposed to the quality of your work. “After a bout of Shingles at the age of 36, I knew I had to find a way to deal with my stress. I was burning the candle at both ends, and needed to figure out how to cope. I decided to try meditation. I tried CDs from the library, and although I knew I was on the right track, I knew I needed something more. I found everything that I needed and more in my classes with Edita. Her meditation classes have helped me to be present in my life, and have helped me to figure out what is important in my life. “The beginning of your session yesterday will resonate with me forever. You spoke about how one can become stuck in the flight or fight mode losing all connection with innate ability to trust and just accept their current situation. For over a year, I remained in that state fighting my body, losing sleep and eventually I slipped into depression. Finally, I am beginning to realize that I wasn’t broken and I am slowly beginning to find my way home. I still have moments where my thoughts turn negative, I struggle with sleep, and my anxiety comes back. However, I can now see a light at the end of the tunnel and with your words I can turn back toward my authentic self. Thank you for helping me and guiding me through this incredible journey called LIFE. “Who knew that meditation could help with some personal struggles! I knew very little about meditation until I met Edita and experienced her classes. She has opened up a whole new world of strategies for coping with stress in addition to sleepless nights in my life. “I feel an instant release of any tension listening to your inspiring intro at each class – always the perfect segway as you begin to guide me through my meditation. “Edita is a very caring person who was very excited to help our office relieve some of our stress. The effect that people noticed even from short sessions was unbelievable. Although we only spent 30 minute sessions with her she taught us very beneficial breathing and relaxation techniques that many of us have never had the opportunity to learn or know about before. Her calm and gentle voice was very relaxing as she introduced us to the power of meditation. Many of our employees expressed that they felt calm, positive, refreshed, open minded, energized and more focussed after a session with Edita. She is very passionate about helping others. Any other businesses that are thinking about offering this type of service to their employees should sign up right away – the benefits are substantial! 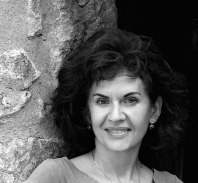 “Edita Atteck is a kind, nurturing, intelligent professional, who is dedicated to her own and other people’s wellness. She has taught me so much, helped me in too many ways to mention. Her dedication to her profession is admirable, and I am blessed to have her in my life. Taking a journey with Edita, is to fulfil such important components of one’s life that go unattended.